The White House confirmed Friday that President Trump approved the memo's release without redactions. The controversial GOP memo accusing the FBI and Justice Department of abusing their authority has been declassified and made public. "The memo was sent to Congress; it was declassified. Congress will do whatever they're going to do. But I think it's a disgrace what's happening in our country," Trump said. Chairman of the House intelligence committee Rep. Devin Nunes put together the controversial memo. The committee voted to release it. 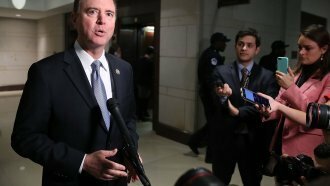 But critics argue the memo is a misleading political attack designed to distract from more pressing issues, like the investigation into Russian interference in the 2016 U.S. presidential election.